The Sassy Pack Rat: Jack Frost Nipping at Your Nose and Other Things. 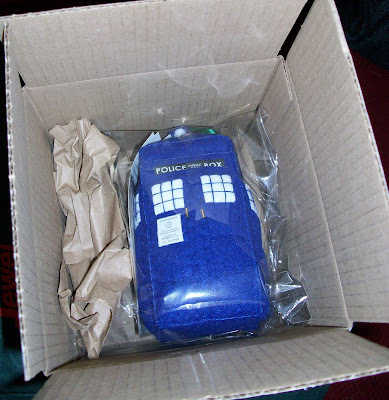 I finished the very LAST TARDIS I'll do this year and shipped it off yesterday. Had to take the listing down but will offer them again after the holidays. 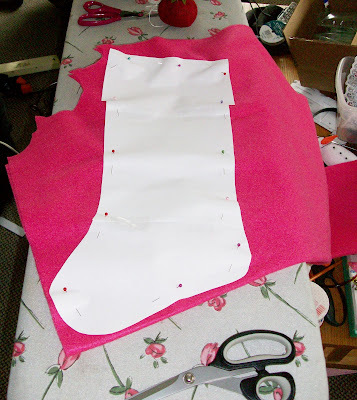 My daughter asked me to make her a stocking this year but it keeps getting pushed to the side cause I'm trying desperately to finish her doll. Hoping I can finish all the gift projects but sadly knowing I won't. Hand sewing zebra stripes on this may just blind me but it's what the Girl wants! I know I'll finish the Girl's presents but my mom is just SOL this year. Sorry mom! Oh, that lucky new Tardis owner!!! Jack is looking lovely! I'll come over and help! Oh, wait, I can't sew. But I love Jack Frost. You've got a lot going on! 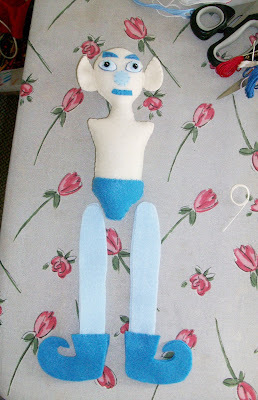 Can't wait to see Jack finished. This year I didn't make a darn thing! I actually ordered most of it off of Amazon.com (books and DVD"s) I'm trying to eliminate as much stress as possible. 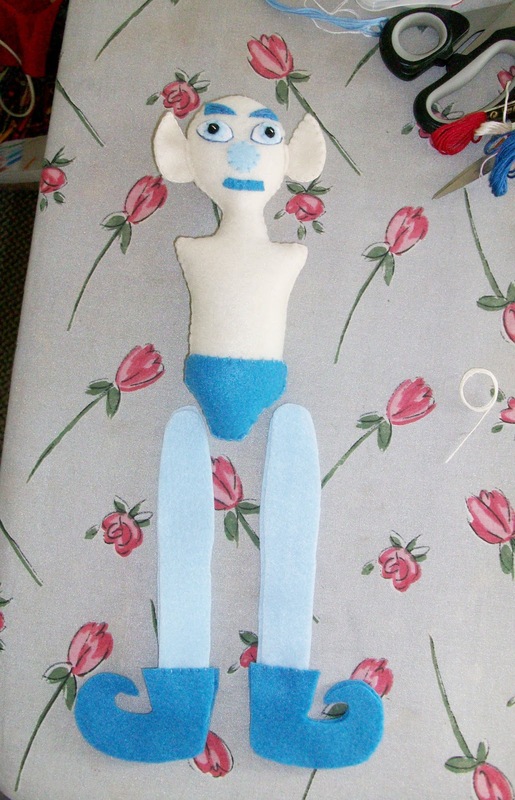 I can't hardly wait to see Jack Frost, a few years ago I tried to make one and got so frustrated that he turned to a "Sunflower" doll.